En la ladera oriental del monte Elgon, un volcán apagado ubicado entre Kenia y Uganda, hay unas cuevas profundas y oscuras a las que por las tardes llega una extraña comitiva de visitantes, que se disponen a pasar en ellas la noche. Se trata de grupos de elefantes africanos que han recorrido unos cuantos kilómetros con toda intención y conocimiento de lo que hacían, en busca no precisamente de refugio para pernoctar, sino de rocas. Los elefantes mineros arrancan trozos de piedra de las paredes de la cueva con sus poderosos colmillos para luego tomarlos con la trompa, llevarlos a la boca, machacarlos con los molares e ingerirlos. Esas piedras están recubiertas de una fina capa de cloruros, carbonatos y sulfatos sódicos. El déficit de sal en sus dietas herbívoras les ha impulsado, desde hace millones de años, a buscarla allá dónde la hubiera en cantidades suficientes. Horadando la roca de la ladera del monte durante todo este tiempo, los elefantes de la zona, han ido haciendo cada vez más profunda la cueva. Conocer las cuevas, dada lo profundas y oscuras que son, requiere formarse un mapa mental. Esto se logra durante el período de una vida, aprendiéndolo. Pero los elefantes también han de aprender de sus mayores que existen dichas cuevas, y cómo llegar a ellas. Nos encontramos ante un proceso de trasmisión cultural del conocimiento. También ante una actitud intencional, dado que desde las distancias que llegan, los elefantes no huelen en el aire el azufre. No se puede decir en este caso aquello de “fuera de la vista, fuera de la mente”, puesto que estos animales tienen muy presente qué es lo que hay y dónde. Me parece que la existencia de una imagen en una mente consciente y la ejecución de un plan basado en la experiencia pasada de lo que hay que hacer para obtener gratificación cuando el hambre de sal comienza a ocupar la corriente de consciencia es una hipótesis más convincente que el comportamiento apetitivo general al azar. Es decir, el viaje inicial comienza lejos de la localización de la cueva, y los animales siguen sendas aprendidas de la jungla mucho antes de acercarse para detectar algo en el aire, algún supuesto olor sulfuroso u otro. La persona que observó por primera vez la labor minera de los elefantes africanos en las cuevas del monte Elgon, en los años 80, fue el zoólogo británico Ian Redmond. Su trabajo de campo le trajo esta inesperada recompensa que, por otra parte, ningún otro hubiera podido obtener. Penetró en el templo de la sal junto con los paquidermos, sin tener la menor noción de a qué iban, procurando no despertar la suspicacia de animales tan peligrosos, y linterna de mano, descubrió que, además de dormir, bañarse en pequeñas charcas interiores y jugar entre ellos, comían piedras en cantidades ingentes. Después inició una campaña en defensa del elefante africano, a través de las organizaciones Africa Ele Fund y Born Free Foundation, ante la proliferación de la caza furtiva para el comercio del marfil y se interesó igualmente, como zoólogo y como conservacionista, por otra especie africana en peligro de extinción: los gorilas. Mientras él defendía a los elefantes de la caza furtiva, Dian Fossey moría por hacer lo mismo con los gorilas. Ian Redmond es ahora una de las figuras más destacadas de la zoología mundial y de la defensa de los animales, labor esta última que realiza desde el United Nations Environment Programme, de la UNESCO. En esta página pueden encontrar algunas de las fotografías que ha realizado. Es asimismo recomendable visitar las páginas Four Apes y 2009, year of the gorilla. Ian ha tenido la amabilidad de responder a nuestras preguntas. Marzo, con su habitual precisión, las ha traducido al castellano. 1. 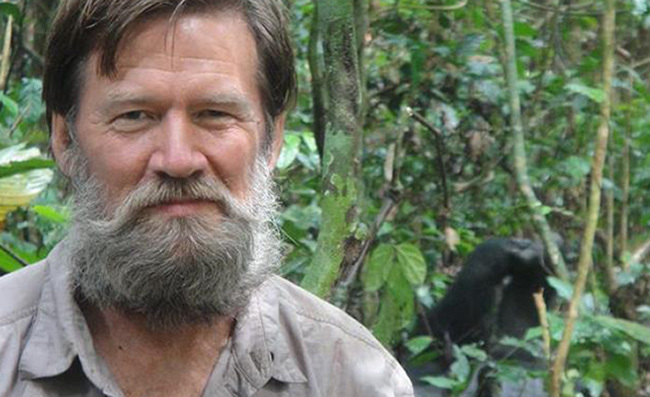 Nicholas Humphrey began to think about animal consciousness after observing the complex social life of gorillas. 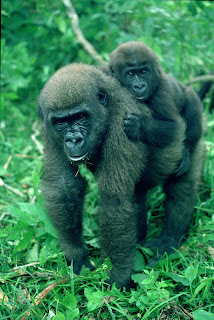 After your own field work with gorillas: What have you learned from them? How are they? IR: As a conscious animal, I am fascinated by other beings, whether they are human beings, gorilla beings, elephant beings or any other self-aware species. It is 33 years this year since I first met gorillas in their own habitat, and I have had the privilege of spending hundreds of hours in their company. This soon led me to re-appraise what it is to be human, stepping back a little to see ourselves from the perspective of ‘just another species of ape’. We are all social mammals who learn the culture of parents and elders, but when you witness other very different beings going through the same process of growing up and learning, you realise that although humans are unique in many ways, our process of cultural learning and exploration of the world is also shared by non-human beings such as gorillas. It is impossible though for a human to see the world from a gorilla’s perspective (it is hard enough to really understand how another human sees things) but we humans have a more highly developed ‘theory of mind’ than any other species (as far as we know). Whilst guarding against anthropomorphism, it seems to me perfectly valid to recognise behaviours we have in common with other species, and see common motivations and reactions – this is one of the great contributions of the Trimates (Jane Goodall, Dian Fossey and Biruté Galdikas) – they brought a female empathy to the interpretation of behavioural data, and by winning the trust of their study animals, were able to make observations of the intimate details of relaxed family life in their respective studies of chimpanzees, gorillas and orangutans. Like others who have taken part in these decades-long field studies, I have learned that almost every day brings new insights; we have a tendency to generalise when we see something, and announce that this is what gorillas do, whereas in fact it is what the particular gorillas we observed did in the particular circumstances of the day they did it. Individual variation (whether from differences in genes or up-bringing) means that one must be cautious in concluding that any particular behaviour is ‘the norm’. Broadly, though, I find gorillas to be powerful yet gentle, shy and nervous but curious and playful once they have confidence, loyal and defensive to those with whom they have friendships or family relationships but arguments, rows and grudges happen even in long-established groups – they do seem to have many qualities and traits in common with us, and so of course they are fascinating to us. Long term field studies have the same appeal as never-ending TV soap operas – except if we don’t reverse the decline in ape numbers the stories will end in extinction. 2. What can we do to save gorillas? What is being done now? IR: In most cases, we don’t have to do things to gorillas to save them, we have to stop doing things to them (and their habitat). 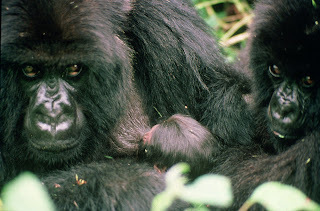 Thus gorilla conservation is more about persuading humans who see them or their habitat as a path to riches to stop hunting them, butchering them, stealing their babies to sell or destroying their habitat. Having just visited most of the ten gorilla range states, I have seen the wide range of actions being taken to counter these threats, ranging from improved wildlife law enforcement to education to finding alternative livelihoods for people who previously made a living killing gorillas or destroying their habitat. Carefully developed eco-tourism has long been seen as an important tool in gorilla conservation, having helped turn things around for mountain gorillas, but it alone will not be enough to save gorillas across their whole range. The role of tropical forests in stabilising the global climate is, however, now being recognised, and we are urging those taking decisions about the future of forests to recognise that forests are more than trees. Most tropical tree species depend on frugivorous animals – the ‘gardeners of the forest’ to disperse their seeds, and so the trees we see today were ‘planted’ by primates, elephants, birds and other animals hundreds of years ago. Everyone on the planet benefits from the eco-system services these forests provide – carbon storage, rainfall generation, erosion control, etc. In the 10 African countires where they live, gorillas are second only to elephants in the number of seeds dispersed each year; ergo, if we want healthy forests in future, we must protect the gardeners of the forest today. 3. You were the first to observe the elephants in their search for salt in the depths of a cave. Could you talk about it? How did you discover it? How soon did you realize the reason for this strange behavior? IR: I first visited the caves of Mt Elgon, Kenya, with the Operation Drake expedition in 1980; the fact that elephants on Elgon go underground was well known to local people and Kenyan cavers, but had never been studied or filmed. Op. Drake volunteers and I made a path for visitors to Kitum Cave in the Mt Elgon National Park, so that they didn’t have to enter the cave on the same path as elephants and buffaloes; camping in the cave mouth, I experienced the extraordinary feeling of the air vibrating as elephants rumbled to each other in pitch darkness underground, and felt the grooves in the rock face where they had chiselled the mineral-rich volcanic rock with their tusks – I was hooked! In subsequent years, I spent a total of six months living in the caves observing and photographing the elephants, and have helped several film crews make documentaries about the behaviour (including the famous sequence in Sir David Attenborough’s Life of Mammals where the elephant bumps his head in the dark). 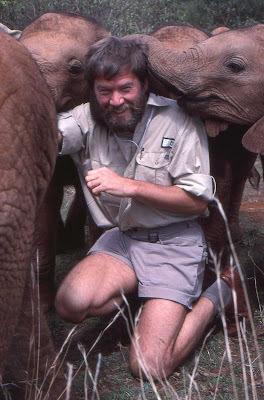 In 2001 I set up the MEEM Team – the Mount Elgon Elephant Monitoring Team of Kenya Wildlife Service rangers and local community trackers, initially with BBC funding to prepare for the Life of Mammals filming, then continued by the Born Free Foundation www.bornfree.org.uk. The MEEM Team combines traditional tracking skills and GPS technology to monitor the elephants’ use of the park and surrounding forests, without subjecting them to the stress and dangers of collaring an elephant in a dense forest with steep ravines and cliffs to contend with; instead, the rangers carry the GPS device and make observations most days, thereby maintaining a presence on the ground which has deterred poachers and begun to habituate the elephants. My hope is that one day this will lead to elephant tracking for tourists on foot, similar to gorilla tracking in Rwanda, Uganda and DRC. 4. What other surprising examples of intelligence and culture have you seen in elephants? What are their most striking adaptations? IR: Once, whilst filming a documentary with Joyce Poole in Amboseli, Kenya, we came across a dead elephant and got out to examine the body. The surrounding grass was covered in a network of elephant trails where they too had come from all directions to check on the body. The carcase was decomposing and the elephants had drawn the tusks from her face. One lay nearby in the grass and I walked around until I found the other. Then Joyce noticed a big tusker approaching and we withdrew to the vehicle. He slowly padded over to the body, trunk hovering over the different parts, giving off low rumbles. 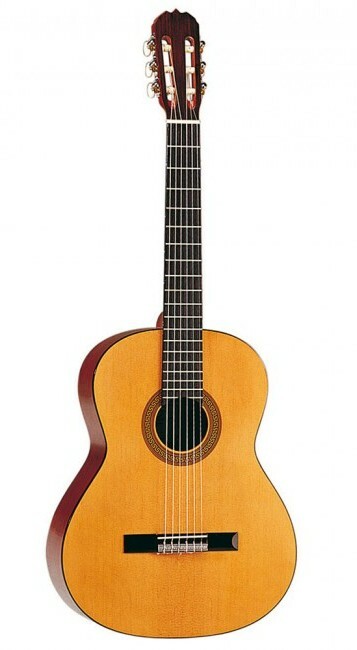 This wasn’t just a carcase to him, it was someone he knew, a member of his community. To my amazement he then followed my exact trail to the other tusk, scented it (and presumably smelled that the human had picked it up and left it there). What he made of this, we can only imagine (theory of mind is even more difficult with a different order of mammals, but the fact that apes, elephants and cetaceans have all independently evolved self awareness does give us an insight into its adaptive significance), but his interest and careful assessment of the information he gathered was electrifying to the human observers – which because of the film crew included millions of people around the world. Having a brain four times the size of ours is quite a striking adaptation, but the fact that their sensory input is so different to ours is particularly intriguing. Imagine your nostrils were in the palm of your hand, and your sense of smell was more acute than a dog’s… this is effectively what the trunk does for an elephant, with the opposing ‘fingers’ at the tip acting like a hand that smells what it holds – just think of what you’d learn when you shook hands with someone! Add to that hearing that can pick up infra-sound and feet that can sense seismic vibrations, and your perception of the world must be totally different to a human’s. 5. 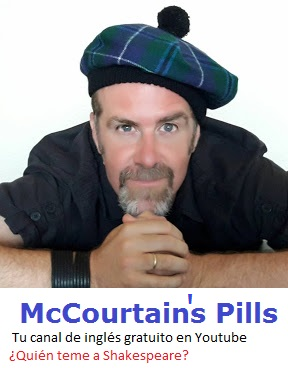 What can we say about the proverbial "elephant’s memory"? IR: Research into elephant cognition in captivity has demonstrated that the old adage about elephants not forgetting is based on fact, and the literature is full of stories about trained elephants remembering commands years after not hearing them, remembering friends after long separations and showing extraordinary reasoning powers. Working elephants in Asia do not just follow commands, they seem to understand what the goal of the exercise is, and will sometimes disobey commands if they feel the goal is better achieved a different way. And now that long-term field studies are able to document examples of elephant memory in their natural habitat, even more remarkable feats have been seen. The story that most impresses me in this regard is told by Cynthia Moss in her book ‘Elephant Memories’. She observed that one female would stop and spend time at a particular spot that to the casual observer looked like any other patch of bush. But Cynthia knew that this was exactly where this female’s mother had died years before; even though there are no longer any bones or other remains, this elephant remembered her Mum and (if our interpretation is correct) spent a few minutes thinking of her when she passed her ‘grave’. You have to respect that level of intelligence, which is why I think they are elephant beings and not just overgrown cows (and why I try not to use cattle terms – bull, cow and calf - to describe them). 6. After observing animal behavior for many years, what would you say we have in common with animals, and what makes us different? IR: Rather than anthropomorphising animals, I prefer to zoomorphise humans – i.e. 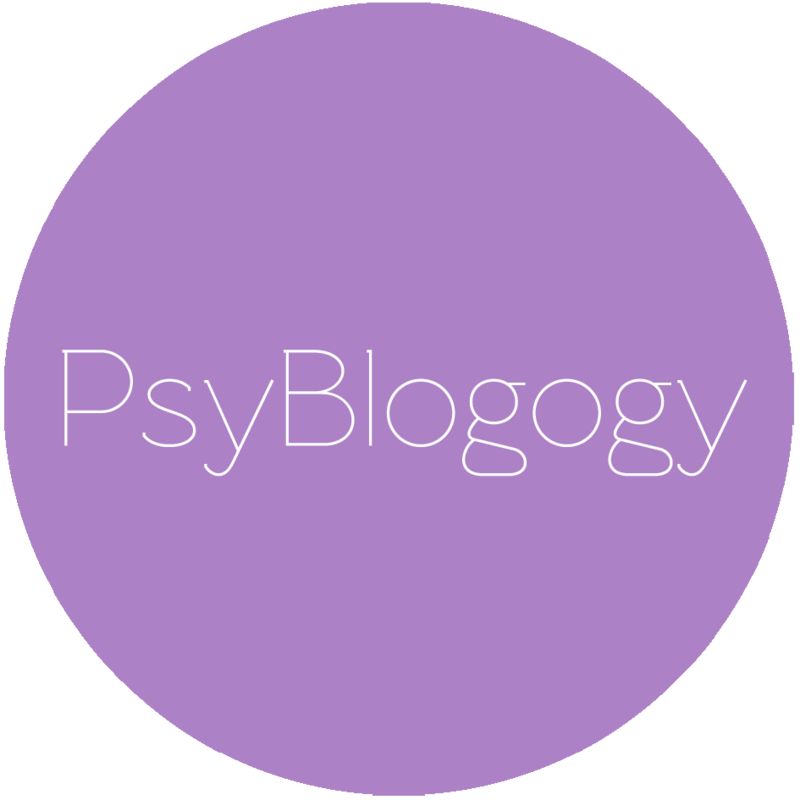 to recognise that humans and other animals have many behaviours, emotions and motivations in common. Of course we must avoid imposing our cultural values on other species and their behaviour, but seeking similarities teaches us as much about ourselves as defining differences. The differences between humans and other species are fascinating and worthy of intense study, but thankfully science has moved on from the Victorian preoccupation with lists of differences, almost desperately trying to widen the gulf between humans and other species to justify the view that we are the ‘pinnacle of creation’. The thing that makes us so different is, of course, our use of language and the urge to share information and experiences. When we hear or see something unusual, we tend to gesture or say ‘look at that’ to anyone with us; when I’ve seen gorillas notice something, they look, but don’t tap a friend on the shoulder or point to draw their attention to it – that is one difference I was surprised at (when you are seeing so many little mannerisms we have in common, it is easy to get carried away and feel they are ‘just like us’. They are not – but they do share many of our behaviours). 7. What are you now working on? What is your highest challenge? What is the mystery you would dream to unveil? IR: I remain fascinated by all life-forms – from parasites to pachyderms - and the way they have adapted to their habitat, but research has taken a back-seat to conservation. I have twice experienced finding the mutilated body of study animals I had begun to know personally. The death of Digit (a young silverback speared by poachers) on the last day of 1977 was followed a decade later by the death of Charles, a young tusker I’d photographed mining rock underground in Kitum Cave, killed for his tusks in 1987. These traumatic events led to creation of partnerships between organisations wanting to counter the threats facing apes and elephants, and I continue to work along these lines. On elephant issues I work mainly with the Born Free Foundation and the Species Survival Network; on ape issues, I chair the Ape Alliance and act as Chief Consultant to GRASP, the UNEP/UNESCP Great Ape Survival Partnership. And this year, I have travelled widely as Ambassador to the UN Year of the Gorilla – details at www.YoG2009.org - with the aim of building support for the Gorilla Agreement, a legally binding treaty under the Convention on Migratory Species, and promoting the concept of gorillas as ‘gardeners of the forest’. This will culminate in the UN Climate Convention meeting in Copenhagen in December, when it is expected that tropical forests will be recognised for their role in sequestering and storing carbon, and we will be stressing that these forests need primates and elephants as seed dispersal agents to sow the forests of tomorrow. Finally, you ask about a mystery; I spent part of January this year in Nepal, making a documentary for the History Channel on the search for the yeti… - now there’s a mystery it would be interesting to solve! 1. Nicholas Humphrey empezó a pensar sobre la consciencia animal tras observar la compleja vida social de los gorilas. Tras su propio trabajo de campo con gorilas ¿qué ha aprendido usted de ellos? ¿Cómo son? 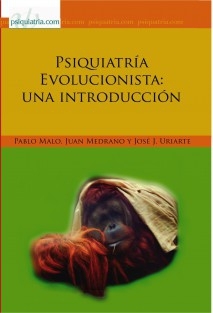 IR: Como animal consciente me fascinan otros seres, ya sean seres humanos, seres gorilas, seres elefantes o de cualquier otra especie autoconsciente. Este año hace treinta y tres que vi por primera vez gorilas en su propio hábitat, y he tenido el privilegio de pasar cientos de horas en su compañía. Esto me llevó pronto a reconsiderar qué es ser humano, retrocediendo un poco para vernos a nosotros mismos desde el punto de vista de "tan sólo otra especie de antropoide". Todos somos mamíferos sociales que aprenden la cultura de sus padres y mayores, pero cuando se presencia cómo otros seres muy diferentes pasan por el mismo proceso de crecer y aprender se da uno cuenta de que, aunque los humanos somos únicos en muchos aspectos, nuestro proceso de aprendizaje cultural y exploración del mundo lo comparten también seres no humanos como los gorilas. Es imposible, sin embargo, para un humano ver el mundo desde el punto de vista de un gorila (ya es bastante difícil entender de verdad cómo ven las cosas otros seres humanos), pero los humanos tenemos una "teoría de la mente" más altamente desarrollada que ninguna otra especie (hasta donde sabemos). Aun estando en guardia contra el antropomorfismo, me parece perfectamente válido reconocer conductas que tenemos en común con otras especies, y ver motivaciones y reacciones comunes; esta es una de las grandes contribuciones de las Trimates (Jane Goodall, Dian Fossey y Biruté Galdikas), que aportaron empatía femenina a la interpretación de los datos conductuales y, al ganarse la confianza de sus animales de estudio, pudieron llevar a cabo observaciones de los detalles íntimos de la vida familiar relajada en sus respectivos estudios de chimpancés, gorilas y orangutanes. Como otros que han participado en estos estudios de campo de décadas de duración, he aprendido que casi cada día trae nuevas revelaciones; tenemos tendencia a generalizar cuando vemos algo, y anunciar que tal cosa es lo que hacen los gorilas, cuando de hecho es lo que hicieron los gorilas en particular que estamos observando, en las particulares circunstancias del día en que lo hicieron. La variación individual (ya sea por diferencias en los genes o en la crianza) significa que debe uno ser cauteloso al concluir que cualquier conducta particular es "la norma". En general, sin embargo, encuentro que los gorilas son fuertes pero gentiles; tímidos y nerviosos pero curiosos y juguetones una vez hay confianza; son leales y protectores hacia aquellos con quienes tienen relaciones de amistad o familiares, pero hay discusiones, riñas y rencores incluso en grupos de larga historia. Sí que parecen tener muchas cualidades y rasgos comunes con nosotros, así que, por supuesto, nos resultan fascinantes. Los estudios de campo largos tienen el mismo atractivo que los culebrones inacabables de la televisión; excepto que si no revertimos el decive en el número de antropoides las historias acabarán en extinción. 2. ¿Qué podemos hacer para salvar a los gorilas? ¿Que se está haciendo ahora? IR: En la mayoría de los casos, para salvar a los gorilas no tenemos que hacerles cosas, tenemos que dejar de hacerles cosas (a ellos y a su hábitat). La conservación de los gorilas, pues, va más de persuadir a los humanos que los ven a ellos o su hábitat como un camino a la riqueza de que dejen de matarlos, de robar a sus bebés para venderlos o de destruir su hábitat. Acabo de visitar la mayor parte de los diez estados en los que habitan gorilas y he visto el amplio abanico de acciones que se están llevando a cabo para contrarrestar estas amenazas, que van desde mejorar la aplicación de las leyes de protección de la naturaleza hasta la educación para hallar modos alternativos de ganarse la vida para las personas que antes se la ganaban matando gorilas o destruyendo su hábitat. Hace tiempo que se ve el cuidadoso desarrollo del ecoturismo como una importante herramienta para la conservación de los gorilas de montaña, pero por sí solo no bastará para salvar a los gorilas en toda su área de distribución. Se está reconociendo ahora, sin embargo, el papel de los bosques tropicales en la estabilización del clima global, y estamos urgiendo a quienes toman decisiones sobre el futuro de los bosques a que reconozcan que los bosques son más que simplemente árboles. La mayoría de las especies de árboles tropicales dependen de animales frugívoros, los "jardineros del bosque", para que dispersen sus semillas, así que los bosques que vemos hoy fueron "plantados" por primates, elefantes, aves y otros animales hace siglos. Todos en el planeta nos beneficiamos de los servicios al ecosistema que estos bosques proporcionan: almacenamiento de carbono, generación de lluvia, control de la erosión, etc. En los diez países africanos en los que viven gorilas, sólo los elefantes les superan en número de semillas dispersadas cada año; por tanto, si queremos bosques saludables en el futuro debemos proteger hoy a los jardineros del bosque. 3. Usted fue el primero que observó elefantes buscando sal en las profundidades de una cueva. ¿Podría hablarnos de ello? ¿Cómo lo descubrió? ¿Cuánto tardó en averiguar la razón de esta extraña conducta? 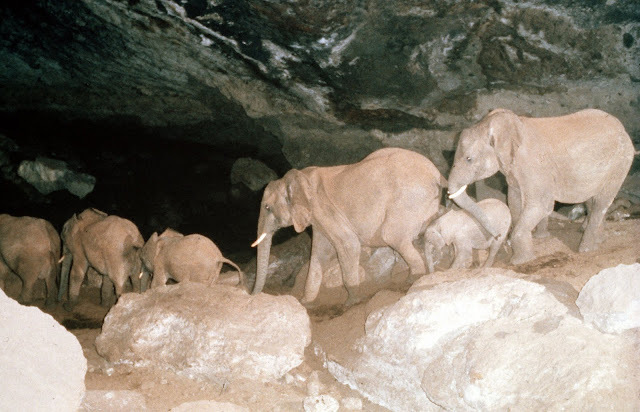 IR: Visité por primera vez las cuevas del monte Elgon, en Kenya, con la expedición de la operación Drake en 1980; que los elefantes de Elgon entraban en las cuevas era bien sabido por los habitantes del lugar y los espeleólogos de Kenya, pero nunca se había estudiado ni filmado. Los voluntarios de la Operación Drake y yo hicimos un camino para los visitantes a la cueva de Kitum en el Parque Nacional del Monte Elgon, para que no tuviesen que entrar en la cueva por el mismo camino que los elefantes y los búfalos; acampando en la boca de la cueva, experimenté la extraordinaria sensación del vibrar del aire cuando los elefantes se comunicaban entre sí en la total oscuridad subterránea, y palpé las huellas en la roca donde habían cincelado la roca volcánica, rica en minerales, con sus colmillos; ¡estaba enganchado! En años sucesivos pasé un total de seis meses viviendo en las cuevas, observando y fotografiando a los elefantes, y he ayudado a varios equipos de rodaje a hacer documentales sobre esa conducta (incuyendo la famosa secuencia en la Vida de los Mamíferos, de Sir David Attenborough, en la que el elefante se golpea la cabeza en la oscuridad). En 2001 establecí el Equipo MEEM (equipo de supervisión de elefantes del Monte Elgon) de agentes del Servicio de Protección de la Naturaleza de Kenya y de rastreadores locales, al principio con fondos de la BBC para preparar la filmación de la Vida de los Mamíferos, después de la Fundación Nacida Libre ( www.bornfree.org.uk ). El Equipo MEEM combina habilidades tradicionales de rastreo y tecnología GPS para controlar el uso que los elefantes hacen del parque y los bosques circundantes, sin someterlos al estrés y los peligros de colocar un collar a un elefante en un denso bosque con abruptas quebradas y riscos; en lugar de esto, el equipo GPS lo llevan los rastreadores, que hacen observaciones la mayor parte de los días, manteniendo así una presencia sobre el terreno que ha disuadido a los cazadores furtivos y ha empezado a habituar a los elefantes. Tengo la esperanza de que esto llevará algún día al rastreo de elefantes para turistas a pie, parecido al rastreo de gorilas en Ruanda, Uganda y la República Democrática del Congo. 4. ¿Qué otros sorprendentes ejemplos de inteligencia y cultura ha visto usted en los elefantes? ¿Cuáles son sus adaptaciones más asombrosas? IR: Una vez, filmando un documental con Joyce Poole en Amboseli, en Kenya, encontramos una elefanta muerta y nos acercamos a examinar el cuerpo. La hierba a su alrededor estaba cubierta de una red de rastros de elefantes donde también ellos habían venido de todas las direcciones a mirarlo. El cadáver se estaba descomponiendo y los elefantes habían sacado los colmillos de su cara. Uno estaba cerca en la hierba y yo anduve en busca del otro. Entonces Joyce vio que se acercaba un gran macho y nos retiramos al vehículo. El elefante se acercó lentamente al cuerpo, pasando la trompa por encima, sin tocarlo, por distintas partes, emitiendo graves sonidos. Esto no era para él sólo carroña, era algo conocido, un miembro de su comunidad. Para asombro mío siguió exactamente mi rastro hasta el otro colmillo, lo olfateó (y presumiblemente olió que el humano lo había cogido y vuelto a dejar allí). 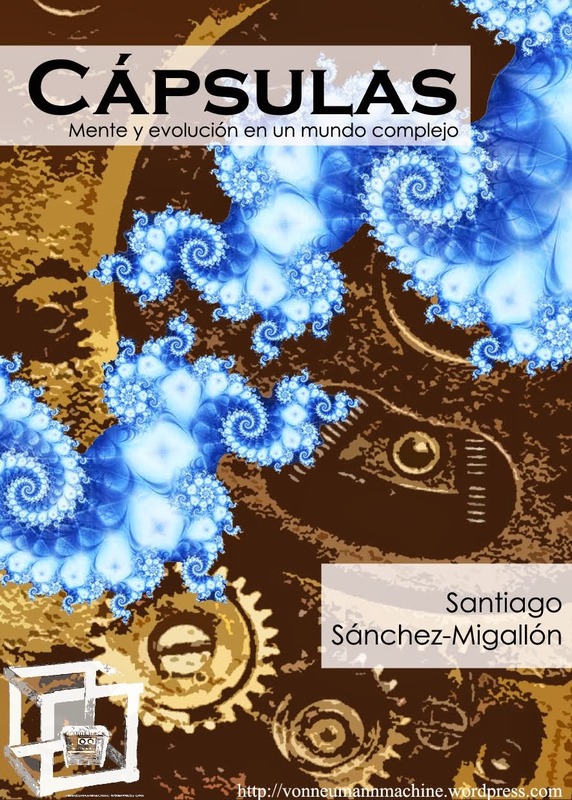 Cómo interpretó eso sólo podemos imaginarlo (la teoría de la mente es aún más difícil con un orden diferente de mamíferos, pero el que los antropoides, los elefantes y los cetáceos hayan desarrollado independientemente autoconsciencia sí que nos da una pista de su valor adaptativo), pero su interés y el cuidadoso ponderar la información que recogía era electrificante para los observadores humanos... que a causa del equipo de rodaje incluían a millones de personas por todo el mundo. 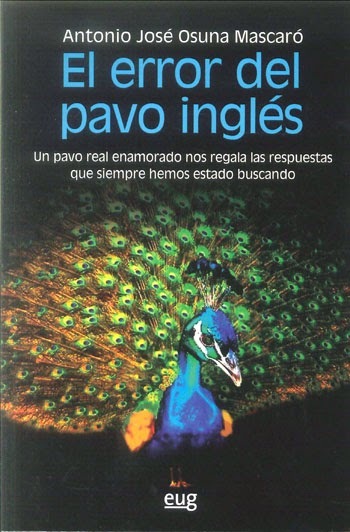 Tener un cerebro de tamaño cuatro veces mayor que el nuestro es una adaptación completamente sorprendente, pero el que sus entradas sensoriales sean tan diferentes de las nuestras es particularmente intrigante. Imagine que tuviese las narices en la palma de la mano, y que su sentido del olfato fuera más agudo que el de un perro... Eso es lo que la trompa hace para un elefante, con los "dedos" oponibles de la punta actuando como una mano que huele lo que toca. ¡Piense en lo que aprendería cuando estrechase a alguien la mano! Añada a esto una audición que recibe infrasonidos y pies que pueden sentir las vibraciones sísmicas, y su percepción del mundo debe de ser totalmente diferente de la nuestra. 5. ¿Qué podemos decir de la proverbial "memoria de elefante"? IR: La investigacón de la cognición de elefantes en cautividad ha demostrado que el antiguo adagio sobre que los elefantes no olvidan se basa en hechos, y la literatura está llena de historias de elefantes entrenados que recuerdan órdenes después de años sin oírlas, recuerdan a amigos tras largas separaciones y muestran extraordinarios poderes de raciocinio. Los elefantes de labor en Asia no sólo cumplen órdenes, parecen entender cuál es el objetivo del ejercicio, y a veces desobedecerán órdenes si les parece que el objetivo se alcanza mejor de otra manera. Y ahora que estudios de larga duración han podido documentar ejemplos de memoria de elefantes en su hábitat natural, se han visto cosas aún más notables. La historia que más me ha impresionado a este respecto la cuenta Cynthia Moss en su libro "Memorias de elefantes". Observó que una hembra se paraba y pasaba tiempo en cierto punto que para un observador casual tenía el mismo aspecto que otro cualquiera en el matorral. Pero Cynthia sabía que era aquí exactamente donde había muerto la madre de esta hembra años antes; aun cuando ya no quedaban huesos ni otros restos, esta elefanta recordaba a su mamá y (si nuestra interpretación es correcta) pasaba unos cuantos minutos pensando en ella cuando pasaba por su "tumba". Hay que respetar ese nivel de inteligencia, que es por lo que yo pienso que son "seres elefantes" y no simplemente vacas enormes (y por lo que intento no usar para describirlos términos vacunos: toro, vaca, ternera... [Términos que se usan corrientemente en inglés (N. del. t.)]). 6. Tras observar la conducta animal durante muchos años ¿qué diría usted que tenemos en común con los animales, y qué nos distingue? IR: Más que antropomorfizar a los animales, yo prefiero zoomorfizar a los humanos; esto es, reconocer que los humanos y otros animales tenemos en común muchas conductas, emociones y motivaciones. Por supuesto debemos evitar imponer nuestros valores culturales sobre otras especies y su conducta, pero buscar similitudes nos enseña tanto sobre nosotros mismos como delimitar diferencias. Las diferencias entre los humanos y otras especies son fascinantes y dignas de intenso estudio, pero afortunadamente la ciencia ha dejado atrás la preocupación victoriana por las listas de diferencias, intentando casi con desesperación ampliar el golfo entre los humanos y otras especies para justificar el punto de vista de que somos el "pináculo de la Creación". Lo que nos hace tan diferentes es, por supuesto, nuestro uso del lenguaje y el impulso de compartir información y experiencias. Cuando oímos o vemos algo inusual, tendemos a hacer un gesto o decir "mira eso" a cualquiera que esté con nosotros. Cuando he visto a gorilas fijarse en algo, ellos miran, pero no tocan en el hombro a un amigo ni señalan con el dedo para llamar su atención; es una diferencia que me sorprendió (cuando está uno viendo tantos pequeños hábitos que tenemos en común, es fácil dejarse llevar y pensar que son "tal como nosotros". No lo son; pero sí que comparten muchas de nuestras conductas). 7. ¿En qué trabaja ahora? ¿Cuál es su máximo reto? ¿Cuál el misterio que soñaría con desvelar? IR: Me siguen fascinando todas las formas de vida, desde los parásitos a los paquidermos, y el modo en que se han adaptado a su hábitat, pero la investigación ha cedido la precedencia a la conservación. He experimentado dos veces el hallar los cuerpos mutilados de animales de estudio a los que había empezado a conocer personalmente. A la muerte de Digit (un joven gorila alanceado por cazadores furtivos) el último día de de 1977 le siguió una década después la muerte de Charles, un joven elefante al que había fotografiado extrayendo minerales bajo tierra en la cueva de Kitum, al que mataron por sus colmillos en 1987. Estos traumáticos sucesos llevaron a la creación de asociaciones entre organizaciones que querían contrarrestar las amenazas a las que se enfrentan antropoides y elefantes, y sigo trabajando en esa línea. En asuntos de elefantes trabajo principalmente con la Fundación Nacida Libre y la Red de Supervivencia de Especies; en cuanto a los antropoides, presido la Alianza Antropoide y soy Consultor Principal de GRASP, la Asociación para la Supervivencia de los Grandes Antropoides entre la UNEP y la UNESCO. Y este año he viajado mucho como embajador del Año del Gorila de la ONU (detalles en www.YoG2009.org ) con el objetivo de recabar apoyo para el Acuerdo sobre los Gorilas, un tratado legamente vinculante bajo la Convención sobre Especies Migratorias, y promover el concepto de los gorilas como "jardineros del bosque". Esto culminará en la reunión en Copenhague de la Convención de las Naciones Unidas sobre el Clima, en diciembre, cuando se espera que se reconozca a los bosques tropicales por su papel en el secuestro y almacenamiento de carbono, y haremos hincapié en que estos bosques necesitan primates y elefantes como agentes de dispersión de semillas para sembrar los bosques del mañana. Finalmente, me pregunta usted por un misterio; pasé parte del mes de enero de esta año en Nepal, haciendo un documental para el Canal de Historia sobre la búsqueda del yeti... ¡ese sería un misterio interesante de resolver!